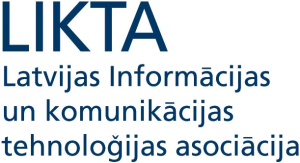 Latvian Information and Communication Technology Association (LIKTA) is a non-governmental professional organisation, founded in 1998. The principal objective of LIKTA is to promote further development of Information Society in Latvia. LIKTA works toward increasing e-awareness in society and takes an active part in preparing professional ICT and digital skills programs. LIKTA is initiator and co-ordinator of elnclusion and e-skills development initiative Latvia@World (L@W), started in 2005.